206.1 mg/dl for patients using Western medicine. Both groups of patients avoided fatty foods, alcohol, and foods containing sugar. Some diabetics substituted unpolished rice, black soybeans, and barley in place of the traditional polished rice at main meals. Black soybeans are the most popular item in a diabetic diet. The majority of patients also included increases in exercise, especially walking. Gang (1995) also studied social support and life satisfaction that were higher among those practicing traditional therapies. 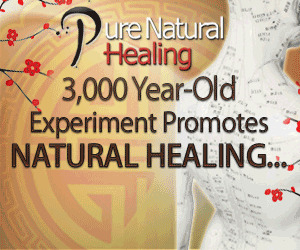 Korean traditional medicine includes elements of Chinese and Japanese medical traditions. 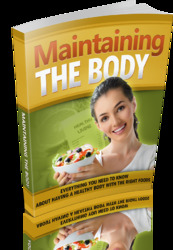 Health and disease are explained in terms of the balance of Ki (or Chi in Chinese medicine). Diabetes in Korean medicine is defined as the imbalance of two ki's, defined as energy, force, breaths of air, or vital fluids. The symptom So, meaning exhaustion, refers to weight loss resulting from abnormal heat in the stomach and large intestine further causing hormonal changes and/or abnormalities in the energy force among the kidneys, liver, gallbladder, and Samcho, an imaginary organ in Korean medicine. The abnormal heat inside the body results in thirst. Three types of diabetes are defined according to where energy is trapped in the body (Gang, 1995). The function of the body is also regulated by five elements: wood, fire, earth, metal, and water. These elements form an ever-flowing cycle in a particular production sequence. A violation of this sequence can lead to a disease. Severe anger exemplified by the element wood also can cause diabetes (Sogalbyong) because anger causes heat to enter the liver, creating a malfunction. The wood Ki also controls sugar addiction. According to the relationship sequence based on the five elements, metal controls wood. When salt is heated to 1,000°C it produces a white metal. This pure salt is used for the treatment of diabetes. Anther popular traditional therapy is Raw Vegetable Therapy based on the balance between Yin and Yang and six elements. 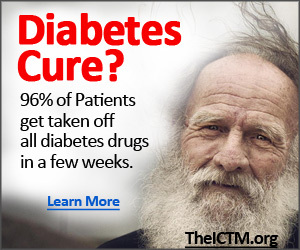 Diabetes in the Raw Vegetable Therapy approach is identified in terms of pulse rates. These pulses are taken at various sites in the body detecting problems of the spleen and stomach that generally cause diabetes. Beta cells that produce insulin are Yang and blood sugar is considered Yin. Normal blood sugar levels are achieved with the balance of these two forces. Breathing Therapy includes both cleansing the body and energizing it so that Ki, the energy force in air, is regarded as a nutrient. According to Taoism the nutrition provided by air through breathing is even more vital to health and longevity than that provided by food and water through digestion (Reid, 1989). In addition, herbs are recommended for the control of diabetes and 99 different herbs have been promoted as therapeutic in the control of diabetic symptoms. These include root of the wild rose, aloe, plantains, mushrooms, willow leaves, ginseng, chicory, and various enzyme-including foods. The ingestion of certain animal products are efficacious: dog, snake, deer horns, and mudfish (Gang, 1995). An ongoing health ethnography project in Florida provides unpublished data for Korean Americans using herbs and acupuncture to treat diabetes. The development of type 2 diabetes in China was first recognized as a problem in 1980, especially in the urban areas (Xiu & Shang, 1985). Factors that influenced the increased prevalence of type 2 diabetes included increased caloric intake, increases in refined carbohydrate, urbanization, mental stress, and aging of the population. Xiu and Shang (1985) note major public health efforts focusing on education, organization, and prevention of type 2 diabetes in China using traditional Chinese medicine, herbs, and biomedicine. Diabetes in Indian Ayurvedic medicine has a complex etiology and pathogenesis. The human body is composed of three fundamental elements, or dosas (wind, bile, phlegm). Health is maintained by a balance of these elements and consequentially a disturbance of equilibrium leads to disease. There are three dosas that control various aspects of physiology; each dosa has five divisions and a disturbance in anyone of these can cause diabetes. In addition, the body contains 13 categories of srotas or channels of circulation through which pass basic tissue elements, doshas, and waste products. Lack of exercise, sleeping during the day, an excessive intake of fatty food, and alcohol consumption can disturb the srotas involved in carrying the vital substances that comprise fat tissue, thereby resulting in diabetes. Excessive consumption of yogurt, the flesh of animals living in water and marshes, rice, wheat, starch, and especially refined foods, are seen to play a role in the etiology of diabetes in Ayurvedic medicine. Traditional approaches involve reducing the body fat to effectively regulate the function of the pancreas and the use of glucose. Medications include the use of bitter gourd and other botanicals: long pepper, fenugreek, turmeric, Indian pennywort, bitter melon, gurmar, aconite, blue rocket, Frier's cap, caltrops, ground burnut, and puncture vine (Broadhurst, 1997; Grover et al. (2002). Most vegetables are recommended for individuals with diabetes, but sugar, rice, potato, bananas, cereals, and fruit are to be avoided and fat is to be ingested in limited quantity.